One of my favourite authors, Lori Foster, had an idea to create "The T-Shirt Project" on Facebook; she sent out 300 t-shirts to her fans throughout North America, and other countries, in the hopes that she would receive photos back from those fans wearing a t-shirt, and have a photo to represent each state and province. 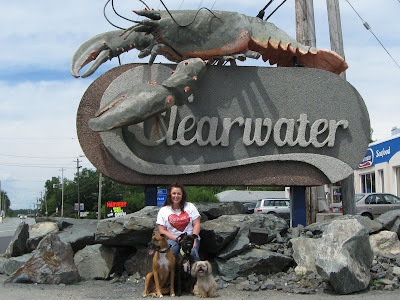 So here we are, representing Nova Scotia - rather than just pose in the shirt at home, I wanted to choose a landmark that is clearly recognizable as Nova Scotia. I would have loved to have gone to Peggy's Cove, but the timing wasn't there. 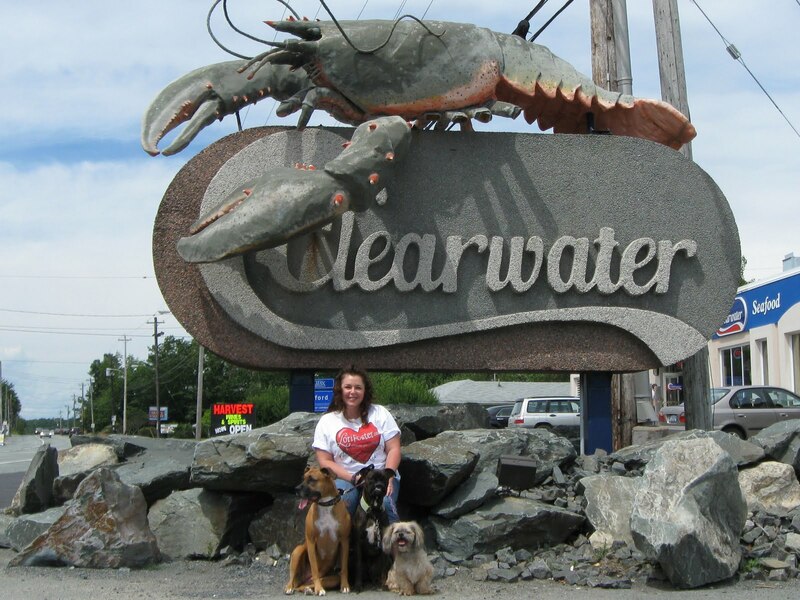 The Clearwater Seafood sign with the huge lobster is a good choice, I think! I sent Lori some links to interesting facts about our province as well. Hope you enjoy the photo as much as I enjoyed taking the dogs out to do this! Thanks to my friend Angela for being our photographer today.